Racing Disney - Disneyland Races Get New Start Times! Racing Disney – Disneyland Races Get New Start Times! Hey there Main Streeters! This week there was a small change made to the start times of the upcoming races at Disneyland, including the races in the Disneyland Half Marathon weekend and the races in the Super Heroes Weekend and I wanted to make sure you knew about them! In a change from past protocol, including the start times from last month’s Tinker Bell races, all the races at the Disneyland Resort will start at 5:00 am, instead of 5:30 or 6 am. This includes the 5K, 10K, and half marathon distances. runDisney made no official announcement of these changes, but the times have been changed on the runDisney website. Hopefully runDisney will highlight these changes in the event guide so that runner’s of past events don’t show up late! It is believed that this change is part of an ongoing problem runDisney is having with the city of Anaheim. The going theory in the running community with regards to the non-opening of registration for Star Wars Light Side Weekend and months of no communication as to when it can be expected, as well as no indication of Tinker Bell 2018 going on sale is that runDisney is currently fighting with the city of Anaheim over permits for the races. The city, it is said, is not a fan of how long the streets are shut down for in these events. Starting the events earlier will clear the streets faster. Another plus of starting the races sooner is the cooler weather for runners of the Disneyland Half Marathon. Labor Day weekend in Anaheim is typically hot and muggy once the sun comes up, and I, for one, am looking forward to starting earlier and getting a little bit of cooler running weather for longer. What do you think of the time changes? Excited or upset? 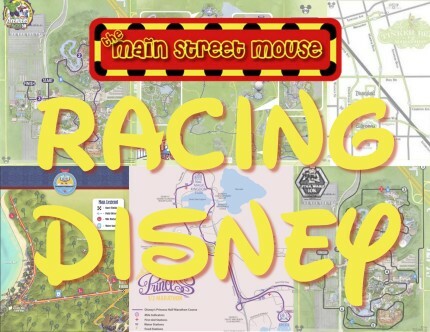 Let us know in comments and I’ll see you next week with more information about Racing Disney!